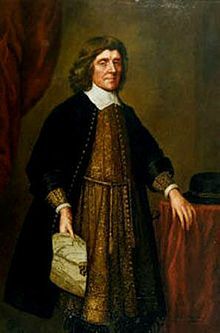 Cecil Calvert received a Charter from Charles I of England for the new colony of Maryland, to be named for the Queen Consort Henrietta Maria (wife of King Charles). This was shortly after the death of his father, the First Baron Baltimore, who had long sought the charter to found a colony in the mid-Atlantic area to serve as a refuge for English Roman Catholics. The original grant would have included the western shore of the Chesapeake Bay as far south as the Potomac River and the entirety of the eastern shore (future “Delmarva” peninsula). When the Crown realised that settlers from Virginia had already crossed the Bay to begin settling the southern tip of their eastern shore, the grant was revised to include the eastern shore only as far south as a line drawn east from the mouth of the Potomac River (including the future State of Delaware). 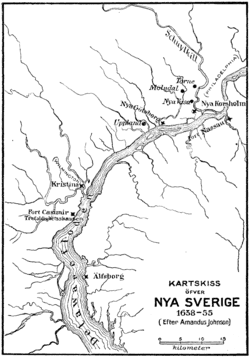 Once that alteration was made, the final charter was confirmed on 20 June 1632. Baltimore’s fee for the Charter, which was legally a rental of the land from the King, was one-fifth of all gold and silver found and the delivery of two Native American arrows to the royal castle at Windsor every Easter. The Charter established Maryland as a palatinate, giving Baltimore and his descendants rights nearly equal to those of an independent state, including the rights to wage war, collect taxes, and establish a colonial nobility. In questions of interpretation of rights, the Charter would be interpreted in favour of the proprietor. Supporters in England of the Virginia colony opposed the Charter, as they had little interest in having a competing colony to the north. Rather than going to the colony himself, Baltimore stayed behind in England to deal with the political threat and sent his next younger brother Leonard in his stead. He never travelled to Maryland. While the expedition was being prepared, Baltimore was busy in England defending the 1632 Charter from former members of the Virginia Company. 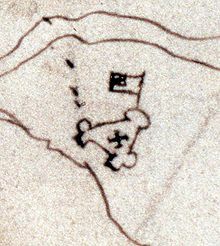 They were trying to regain their original Charter, including the entirety of the new Maryland colony, which had previously been included within the domains described as a part of Virginia. They had informally tried to thwart the founding of another colony for years, but their first formal complaint was lodged with the “Lords of Foreign Plantations” (Lords of Trade and Plantations) in July 1633. The complaint claimed that Maryland had not truly been unsettled, as stated in its charter, because William Claiborne had previously run a trading station on Kent Island in the middle of Chesapeake Bay off the eastern shore. It also claimed that the Charter was so broad as to constitute a violation of the liberties of the colony’s subjects. At this point there were few Marylanders yet in residence.